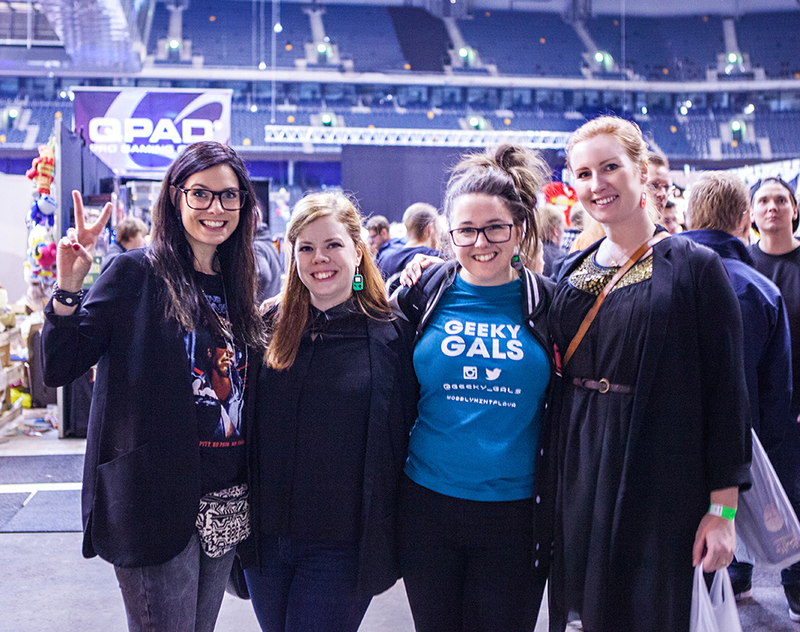 This weekend Geeky Gals attended Comic Con / GAMEX in Stockholm, and it was even bigger than last year! This year it was held at Friends Arena, and the amount of cosplayers were overwhelming! 😀 So much fun to see! It was the first time all 4 of us original Geeky Gals got to go to a convention simultaneously, since we all live in different towns around Sweden it’s been hard to round us all up! Haha. Geeky Gal Becki bought a Unicorn! Posted in Anime, Comics, Conventions, Cosplay, GAMING, GEEKY, Sci-FiTagged 2015, Adventure Time, Anime, Assassin's Creed, Captain America, Cloud, Comic, Comic Con, Comiccon, Con, Convention, Cosplay, DC, Final Fantasy, Furiosa, GAMEX, Geeky Gals, Halo, League of Legends, Mad Max, Marvel, Master Chief, Master Chiefbacca, Predator, Pyramid Head, Silent Hill, Star Wars, Sthlm, Stockholm, Terminator, Van Helsing, VincentBookmark the permalink. Great photos as always! It was an awesome weekend! Awesome pictures and well edited 🙂 Hope to see you at some more cons. Keep it up! and before i go…have you got a license for that camera? Sounds great! Hope to bring even more Judges for next year. Hope to get around at some other cons as well during next year. Will do a few in England/Scotland.